At any job, you can feel pulled in many directions. At other jobs, you have to be prepared to drop everything and be 100% available. Managers like to accuse staffers that they have no “sense of urgency.” Perhaps that is the case, perhaps it is not. Those same managers oftentimes think that urgency and emergency are synonymous. More lawyers today feel the pressure both from clients and partners to remain available at all times. It is difficult to prioritize work duties especially when everything feels “important.” Prioritizing what to do next, or more importantly, what to do first can prove tough when there is more than one person to serve. Fortunately, there are proven strategies for prioritizing work. Create a master task list. Most attorneys have more than one case, each with deliverables with different due dates. Creating a master list of your projects and cases and important filing dates can help you keep organized and prioritized. Your master task list should include every work related task you need to get done for success. Both short-term and long-term goals can be added to this list (mine often includes, BREATHE). The master list can live in a notebook, a spreadsheet or a planner but regardless of where it lives, the important thing is to regularly consult it and check off and add new items as needed. Assign each task a date. Go through your master task list and assign each task a due date. If you can’t get specific, simply list the month and year. For many, going so far as to set up calendar appointments and reminders (via Outlook, iCal, Google, etc.) helps keep tasks and projects on track and on time. Decide on importance. 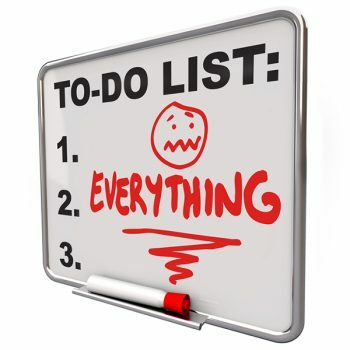 As you prioritize your daily and weekly tasks, decide which tasks are important, urgent, or not important. Anything that is not important should be eliminated immediately from your task list. Things that are important should be prioritized as first on your list, while urgent but not very important should come next. Organize your tasks. Separate all of your tasks into “monthly,” “weekly,” and “daily” categories. Begin with the current month. Once you know which tasks need to be completed this month, figure out what needs to be done this week, next week, and/or on a daily basis. Organizing tasks in this way can help you also think about subtasks and ad-hoc projects that may need to take precedence before you can complete another the project. Prioritizing your work tasks will help you get more of the most important work done. Subscribe to the Leopard Blog for discussions on diversity, work items, law firm insights, and other relevant topics.